With the reef fish closure kicking in last Saturday morning and finishing on Wednesday, plenty of bigger boats made their way into the rivers this weekend in search of a Barra, so I hope all went well for those who venture into the rivers. Plenty of bigger boats have “Spot Lock” electric motors these days, so are pretty well set up to tackle the rivers anyway when weather events or closures rule the reef off limits. As we stood up to cast the first lures of the morning the suns bite was felt. be better for the bigger fish. there’s anything at home of not, and being a shallow diver almost all strikes are seen by the angler. 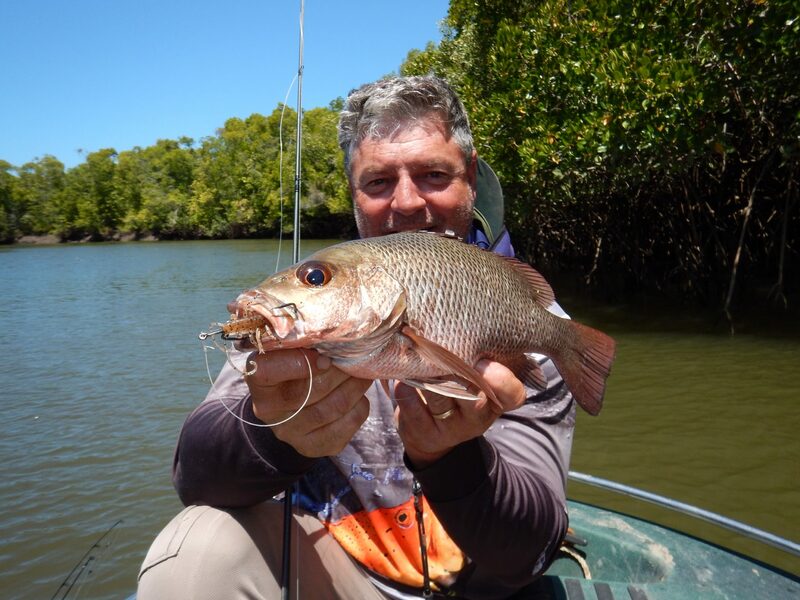 With this being the last month to chase a Barra before the close of season, it doesn’t mean that you have to miss out on chasing them in the fresh. If you purchase a Stocked Impoundment Permit, or SIPS, you can chase large mouthed, pink eyed leaping Perch all year round, and with plenty of these fish being over the meter mark, it is a very exciting place to get your arms stretched. a lure that gives you the best chance, just call in and see us. Cheers and good luck from the Fishing Warehouse Team.